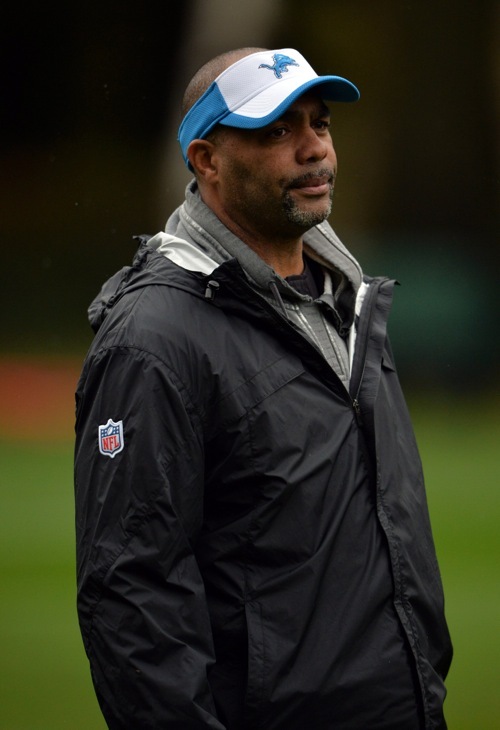 The New York Giants will interview both Detroit Lions Defensive Coordinator Teryl Austin and their own defensive coordinator, Steve Spagnuolo, for the team’s head coaching vacancy on Thursday. Austin has received interest from the Browns, Eagles, and Dolphins. Austin also satisfies the NFL’s Rooney Rule, which requires teams to interview minority candidates for head coaching and senior football positions. New York Giants Offensive Coordinator Ben McAdoo, who interviewed on Tuesday. Chicago Bears Offensive Coordinator Adam Gase, who will interview on Friday. Jacksonville Jaguars Assistant Head Coach/Offensive Line Coach Doug Marrone, who will interview on Saturday. Carolina Panthers Defensive Coordinator Sean McDermott – no known scheduled interview. The New York Giants have re-signed defensive tackle Louis Nix to a reserve/future contract. Nix is the the sixth Practice Squad player re-signed by the Giants this week. Nix was signed by the Giants after he was waived by the Houston Texans in September 2015. He was active in four games but rarely saw any action. The Giants waived him in November and then signed him to the Practice Squad. Nix was originally drafted in the 3rd round of the 2014 NFL Draft by the Texans. He has been plagued with injuries, having knee surgery in 2013 at Notre Dame, knee surgery in the summer of 2014 with the Texans, and then a wrist issue that landed him on Injured Reserve in September 2014 with the Texans. He never played in a regular-season game with Houston. Nix is a strong, mammoth nose tackle-type lineman who can take on the double-team and hold the point-of-attack when healthy. Although Nix is a good athlete for his size, he is more of a run defender than pass rusher. Nix’s professionalism and work ethic were questioned in Houston. The New York Giants have signed defensive tackle Montori Hughes to the 53-man roster from the team’s Practice Squad. 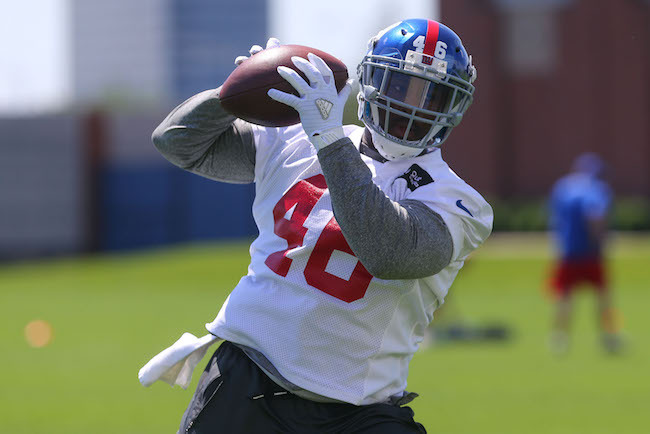 Hughes fills a vacancy created when the Giants put defensive tackle Johnathan Hankins on season-ending Injured Reserve on Tuesday with a torn pectoral muscle that will require surgery. The Giants signed Hughes to the Practice Squad in September 2015. 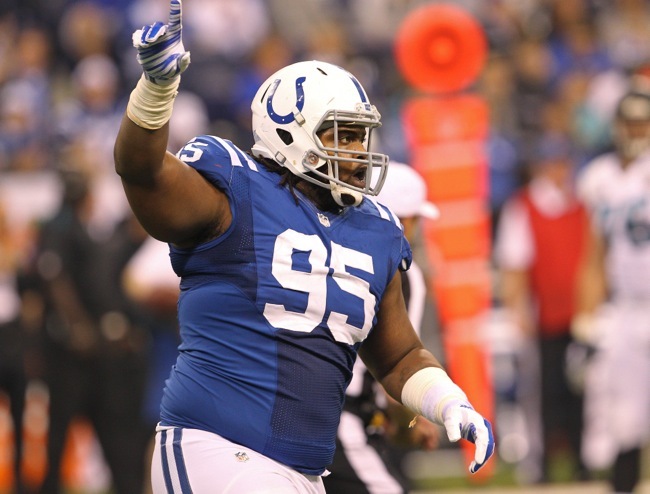 Hughes was originally drafted in the 5th round of the 2013 NFL Draft by the Indianapolis Colts. In his two seasons with the Colts, he played in 16 games with one start. Hughes is a strong, mammoth (6’4”, 350lbs) nose tackle-type lineman who can hold his ground against the double team. He is a decent athlete for his size with some quickness to his game. The New York Giants have signed defensive Louis Nix and linebacker Nico Johnson to the Practice Squad. Nix and Johnson fill the Practice Squad vacancies created when the team promoted cornerback Tramain Jacobs and and defensive tackle Montori Hughes to the 53-man roster. Jacobs was signed to the 53-man roster last Saturday. Nix was signed by the Giants after he was waived by the Houston Texans in September 2015. The Giants waived Nix on Saturday to make room for cornerback Tramain Jacobs on the 53-man roster. 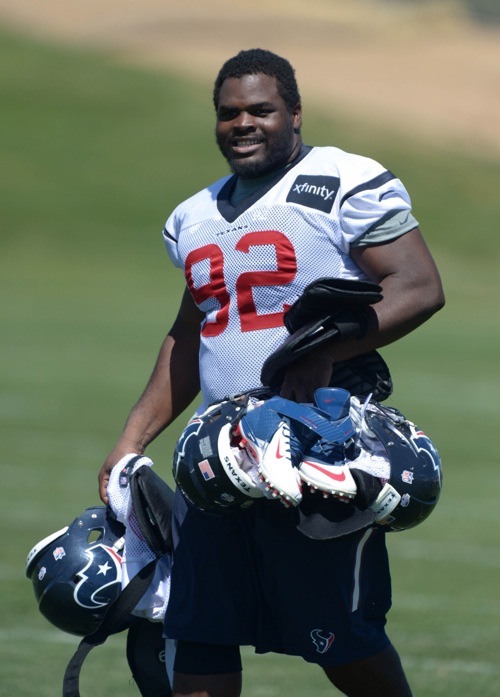 Nix was originally drafted in the 3rd round of the 2014 NFL Draft by the Texans. Johnson was originally drafted in the 4th round of the 2013 NFL Draft by the Kansas City Chiefs. The Chiefs waived him in August 2014 and signed him to their Practice Squad. The Bengals signed Johnson to their 53-man roster in October 2014, but waived him in August 2015. The Redskins signed Johnson to their Practice Squad in September, but terminated his contract a month later. Johnson has played in 17 regular-season games with three starts, accruing 22 tackles. Johnson is a big linebacker (6’2”, 249lbs) who plays the run well, but isn’t as adept in pass coverage. He is a hard worker. The audio of Tuesday’s WFAN Radio interview with running back Rashad Jenning’s is available on CBS New York’s website. According to the Elias Sports Bureau, the Giants’ nine sacks is their lowest total through nine games since team sacks were first compiled in 1963. The Giants have three rushing touchdowns this season, their lowest total through nine games since they had two in 1996. The Giants lead the NFL with 21 takeaways, 13 interceptions (tied with two teams), and a plus-12 turnover differential. The players return to practice on Wednesday to start preparing for Sunday’s game against the New England Patriots. The Giants have officially ruled WR Victor Cruz (calf), TE Daniel Fells (foot), LT Will Beatty (pectoral – on PUP), DE Owamagbe Odighizuwa (foot), and DT Markus Kuhn (knee) out of Sunday’s game against the Atlanta Falcons. “Feeling a little bit better, yeah,” Cruz said. He was also asked when he might return to the practice field. “When I know, you’ll know,” responded Cruz. “Well, (Beason) is feeling better, he’ll tell you that, but we’re going to see,” said Head Coach Tom Coughlin. LT Ereck Flowers (ankle) and LB Uani’ Unga (knee) are probable for the game. The Giants will hold a 45-minute, full-speed practice on Saturday that is not open to the media. The team will play its home opener against the Atlanta Falcons on Sunday. 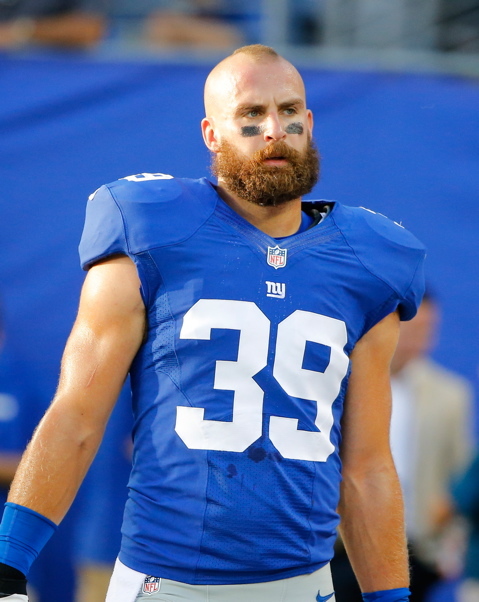 Former New York Giants safety Tyler Sash, who played with the Giants in 2011-12, has passed away at the age of 27. The cause of death is not yet known. Sash was drafted in the 6th round of the 2011 NFL Draft by the Giants. He played in 23 regular- and four post-season games with New York. The Giants cut him on August 31, 2013. Following up on today’s earlier update, defensive end Jason Pierre-Paul is heading home after the Giants have determined he is not currently healthy enough to play football. NFL.com is reporting that the Giants have not rescinded their 1-year, $14.813 million Franchise tender, but Pierre-Paul will not be allowed to sign it until he is healthy enough to practice and play. He will then receive the pro-rated portion of the tender. 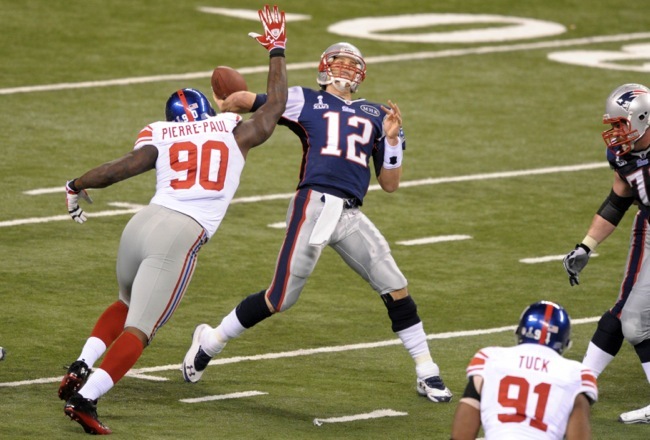 The report suggests that no compromise deal was reached by the Giants and Pierre-Paul. Putting Pierre-Paul on the Non-Football Injury (NFI) List is no longer an option now that the 53-man roster is set. Doing so now would mean that Pierre-Paul would have to sit out the entire season, possibly without pay. All of that chatter about Jason Pierre-Paul's readiness has now vanished in a hurry now that NYG docs/trainers have had their look at him. The two players the Giants claimed off of waivers on Sunday, defensive tackle Louis Nix (Houston Texans) and cornerback Asa Jackson (Baltimore Ravens), are now gone. Nix failed his physical with the team and was waived. The Giants also waived Jackson. Though not officially announced, the New York Giants have reportedly signed linebacker Jasper Brinkley, who was waived by the Dallas Cowboys on Monday. Brinkley was originally drafted in the 5th round of the 2009 NFL Draft by the Minnesota Vikings. Since that time, he has spent time with the Vikings (2009-12, 2014), Cardinals (2013), and Cowboys (2015). Brinkley has played in 79 regular-season games with 33 starts. He missed the 2011 season due to hip surgery. He started 11 games with the Vikings in 2014 and finished the year with 74 tackles, one sack, and one forced fumble. Brinkley is a big linebacker who lacks ideal overall athleticism. He is a physical, two-down run defender who struggles at times in pass coverage. According to NFL.com, the New York Giants worked out 17 players on Tuesday at the team’s facility. Based on various media reports, some of the players included quarterback-wide receiver-running back G.J. Kinne, tight end Joseph Fauria, linebacker Nick Moody, punter Brandon Fields, and punter Kasey Redfern. The audio of Tuesday’s ESPN Radio interview with quarterback Eli Manning’s is available at ESPN.com.